Broadway Brass has the capability of providing one of the largest varieties of metal finishes in the UK. We can match most samples provided, this is our speciality and a challenge we enjoy. 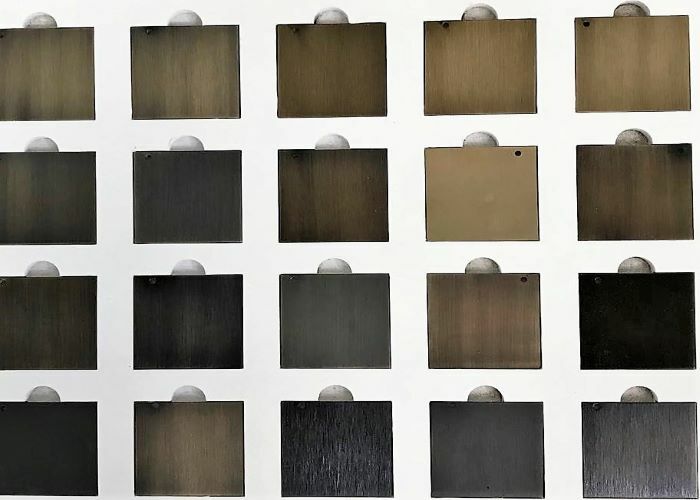 We provide a large variety of antique finishes which include antique brass, antique copper, antique bronze, antique silver to mention a few, these finishes come in many shades and are often matched to samples provided or finished to our basic standard. Bronze is a popular finish in the architectural and shop fitting sector, our highly experienced team at broadway have the skills to get this finish right. Bronzing is usually finished by hand with the use of abrasive pads and is normally sealed with lacquer or wax and can be finished in variety of shades. We offer a complete range of Satin and Brushed finishes which include, Satin Chrome, Satin Nickel, Satin Brass and Satin Copper. Satin finishes are usually sealed with Electrophoretic lacquer which is cured at 160c in our state of the art conveyor oven. 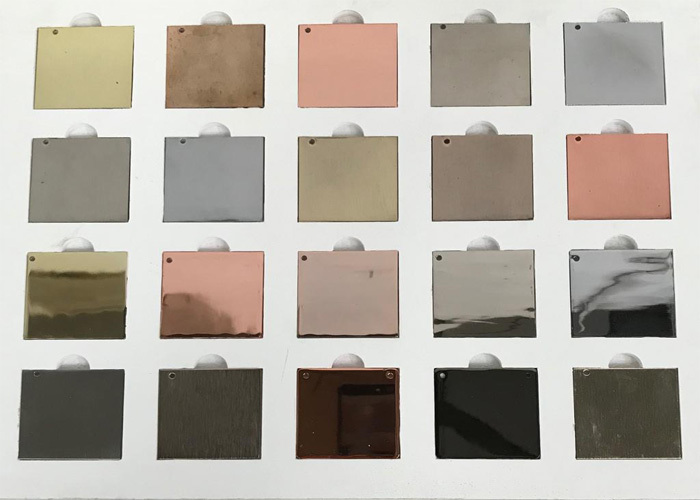 Providing decorative finishes is a key part of our service, our decorative finishes include polished Chrome, Polished Brass, Polished Nickel, Polished Copper, Nickel Black and Polished Rose Gold to mention a few. We offer an oxy brass and oxy copper finish which is ready for the customer to apply their own solution to achieve the desired finish. We have a in house metal polishing facility with Industrial polishing machines, centre less polishing machines and a highly skilled and experienced team of metal polishers, This is a vital part of our service as most parts require Linishing/banding or polishing before plating, this also enables us to provide polished finishes such as polished brass which is sealed with electrophoretic or spray lacquer to protect it from the elements. 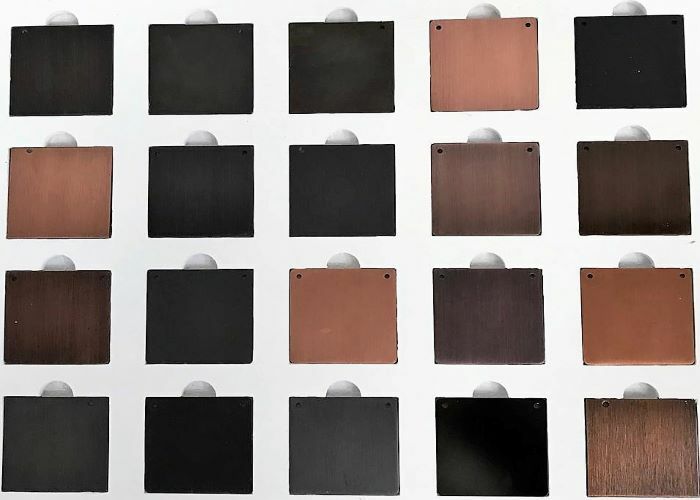 Most of our finishes are sealed with electrophoretic lacquer, Spray lacquer or wax for durability and protection, Electrophoretic lacquer is electronically applied similar to electroplating and has a glossy finish, Wax is applied when a more natural and matt finish is desired. Broadway Brass offers a metal cleaning service which include degreasing, chemical cleaning, paint and lacquer stripping and electric nickel stripping. If your required finish is not outlined below or you are unsure about the type and colour of the finish please do not hesitate to contact us to arrange an appointment where we can discuss your specific requirements, alternatively you can get into contact and send us a sample of the material and we will match the finish.